So true. 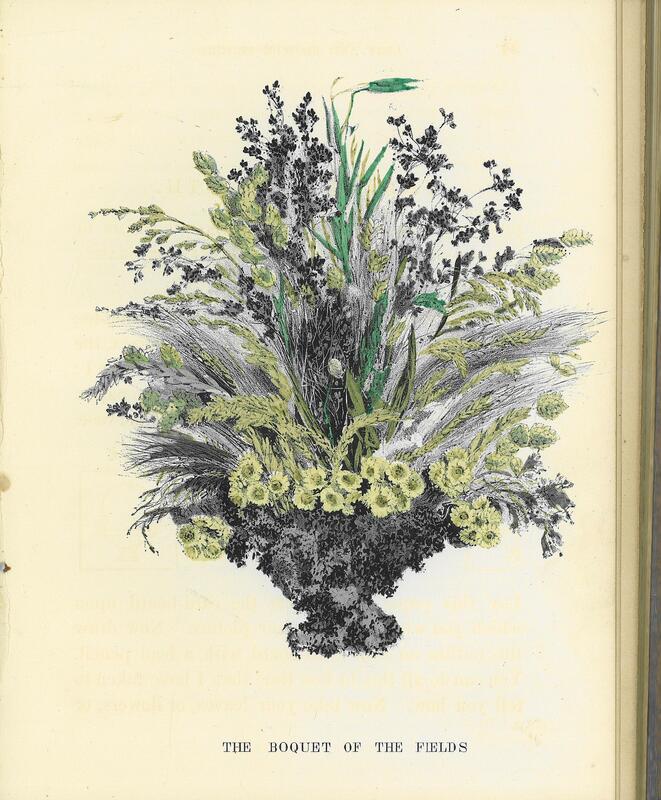 In the Botany-Horticulture Library, we have all sorts of books on flower arranging, press flowers, history of the art form, etc., to support our Smithsonian Gardens staff and library visitors. From Ikebana, to European (including the Victorian Era) and American floral design, past and present, the library has a small collection of about 100 books on this topic. On the Rittner’s Floral Design Day website, it suggests ways to celebrate the day. So to celebrate the artistry of flower arranging and the people who perform this work, day in and day out, I’m featuring one of our flora design books. 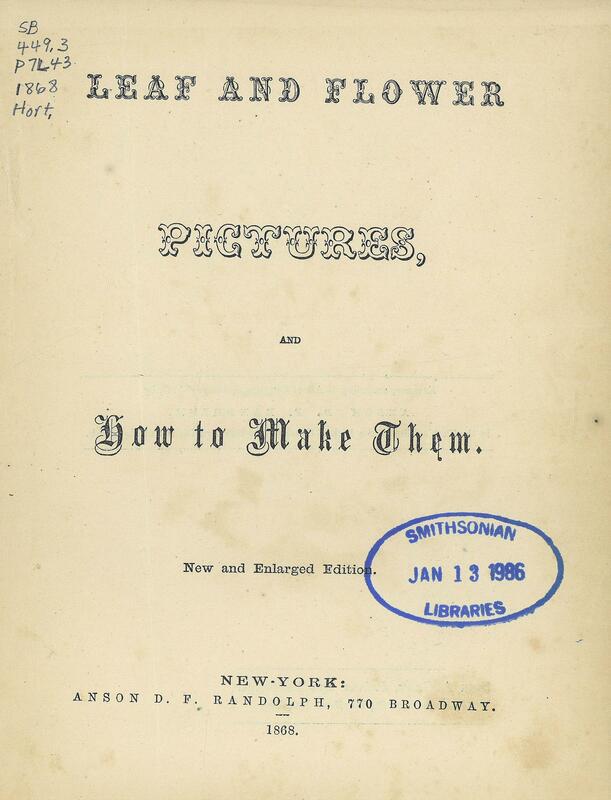 Leaf and Flower Pictures and how to make them, written by HB, originally published in 1857. The library owns the new and enlarged edition in 1868, published Anton D.F. Randolph, New York, New York. 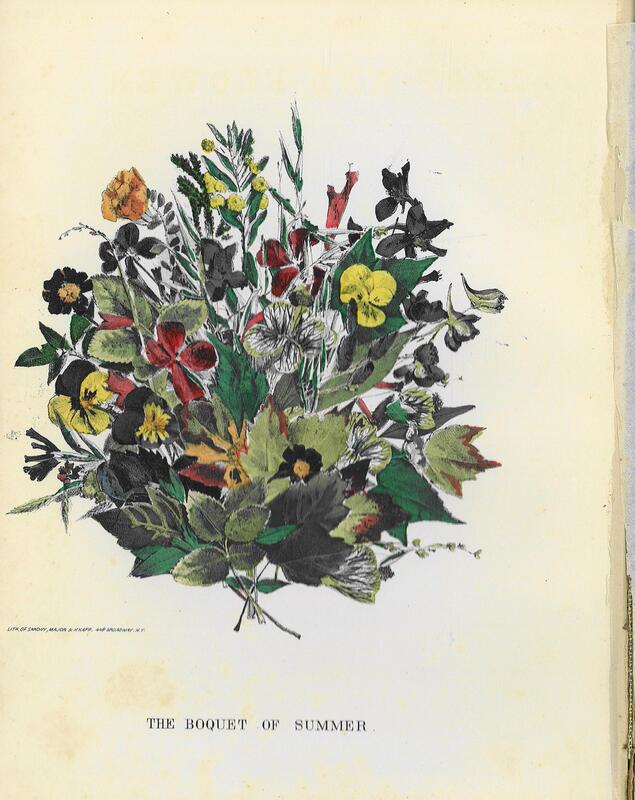 The book’s author, who full name is not in the text, gives detailed directions on how to create various pressed leaves and flowers designs. What I found amazing about this little book are the lovely vibrant color illustrations (close to 150 years old) which accompanying the instruction. Below are a few of the images to enjoy. 😀 I’ll be happy if I can get any of them. 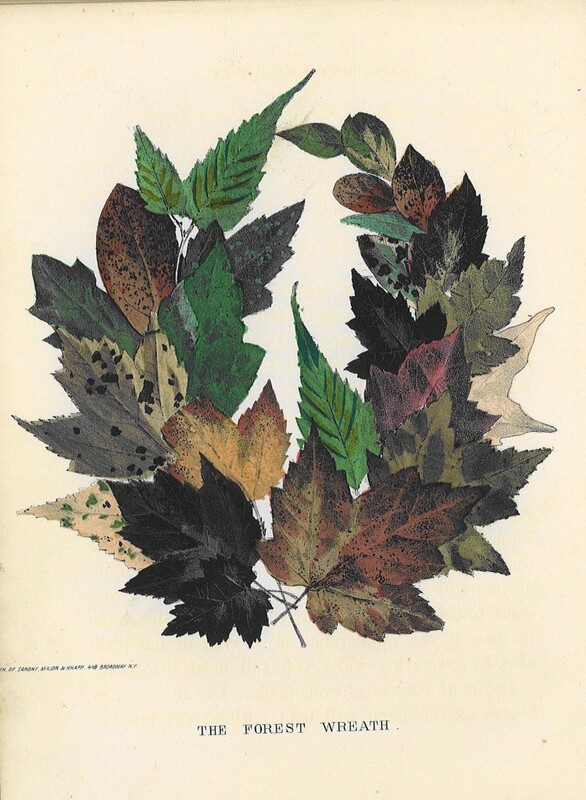 Great post, and thank you for sharing with us the digital copy of “Leaf and Flower Pictures and how to make them”.